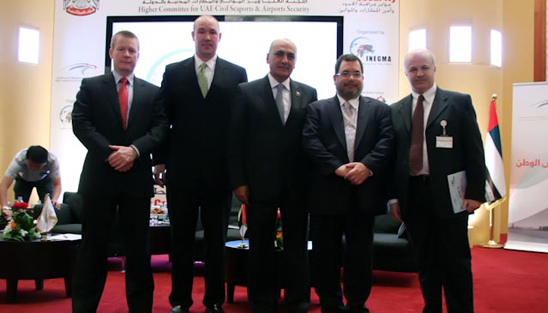 The 2011 edition of the Border Control, Airport and Seaport Security (BCASS) exposition, took place in November 2 at the InterContinental, Abu Dhabi, UAE. 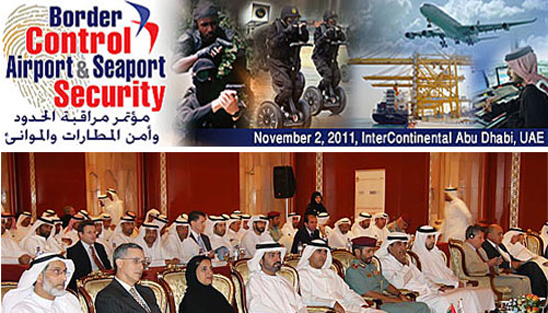 Under the patronage and support of the Higher Committee for UAE Civil Seaports and Airport Security, BCASS 2011 comprised international senior military officers, high-level government officials, and security experts that discussed the region's critical strategic and operational border control and security issues. A diverse range of presentations and workshops offered comprehensive coverage of the latest trends, issues and technology areas relevant to border security. 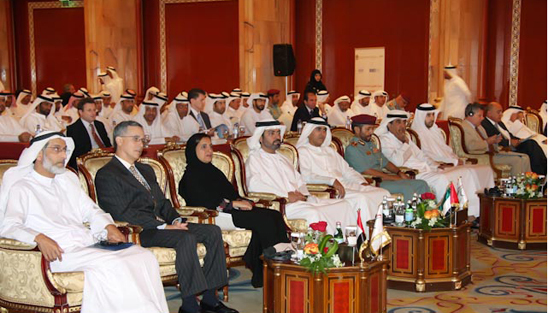 VIPs at this year’s BCASS included H.E Sheikh Hamdan bin Mubarak Al Nahyan and HE Sheikha Lubna al Qasemi, Minister of Foreign Trade, UAE, and they were joined by a crowd of political and military leaders, diplomats, and industry leaders from the UAE, the GCC and Asia for a day of focused discussion and networking sessions. 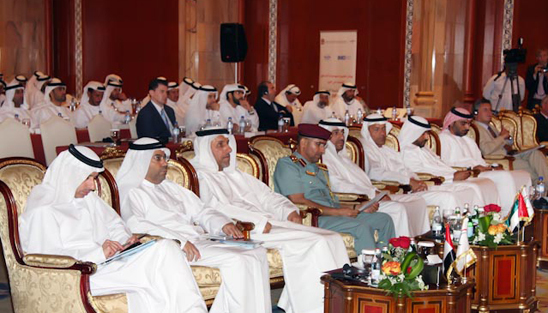 Under the continued patronage of His Excellency Sheikh Hamdan bin Mubarak Al Nahyan, Minister of Public works, Chairman of the Higher Committee for UAE Civil Seaports and Airports Security and with the full support of the Higher Committee for UAE Civil Seaports and Airport Security, INEGMA held the second edition of the Border Control, Airport and Seaport Security Conference – BCASS on November 2, 2011 at the InterContinental Hotel in Abu Dhabi, UAE. 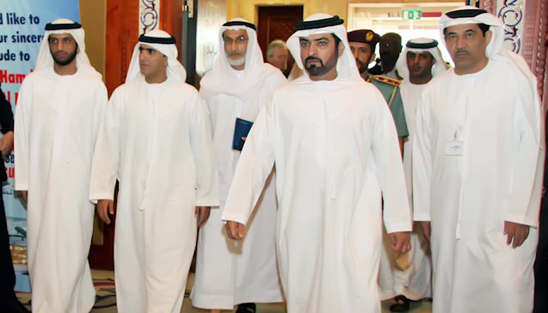 BCASS was attended by His Excellency Sheikh Hamdan bin Mubarak Al Nahyan, in addition to H.E. Sheikha Lubna Al Qasemi, UAE Minister of Foreign Trade, and international senior military officers, high-level government officials, diplomats and security experts from the UAE, the Gulf and abroad to discuss the region's critical strategic and operational border control and security issues. 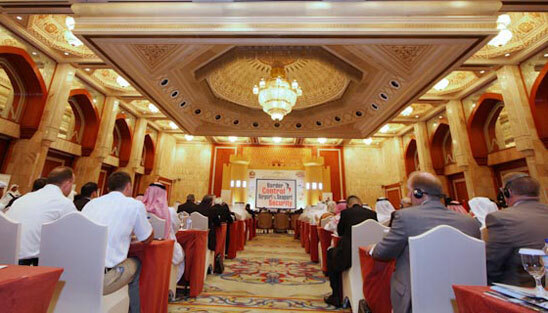 A diverse range of presentations offered comprehensive coverage of the latest trends, issues and technology areas relevant to border security. Riad Kahwaji, INEGMA CEO, delivered a welcome speech stating:” It is a great honor for me to address such a distinguished crowd that has gathered here today to address such an important topic. Security of the borders and all points of entry to a country - air, sea and land - is extremely vital. The objective of this conference is to have friends and allies exchanges views and experiences on security of airports and seaports”. 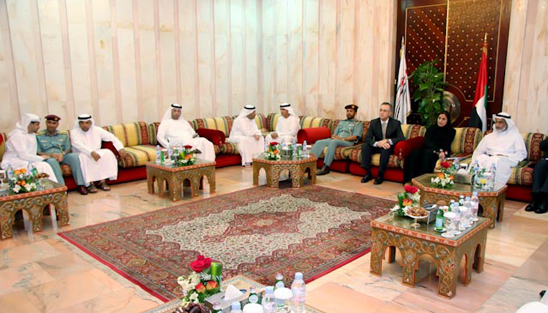 Kahwaji thanked His Excellency Sheikh Hamdan bin Mubarak Al Nahyan and the Higher Committee for Civilian Airports and Seaports Security in the UAE for partnering with INEGMA in organizing this event. Dr. Ahmed Bin Thani Al Hamli, Chairman of Subcommittee of Ports Security delivered the key note speech on behalf of His Excellency Sheikh Hamdan bin Mubarak Al Nahyan. 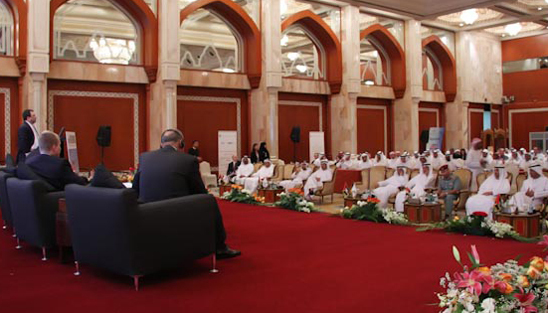 At first, Dr. Al Hamli thanked all guests for their attendance and commended the UAE leadership for all the efforts they are deploying in pursuing a wise strategy that led to the country’s successes in all fields. Dr. Al Hamli added: “UAE became one of the most attractive regions for investment and major economic and tourist projects and a model of free trade. The movement of transport and communication be it through air, land or sea has facilitated the goods, commodities and passengers movement as well through the State’s land ports and airports, which reflects the world’s confidence in the UAE economy”. 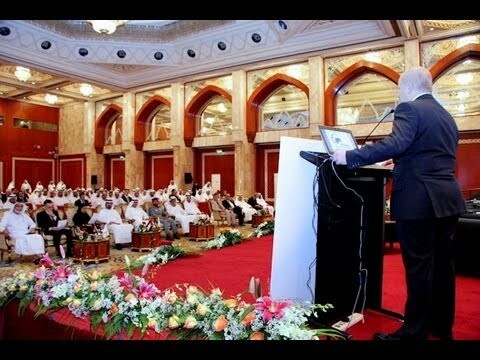 At the end, Dr Al Hamli thanked the organizers of the conference and the attendees. 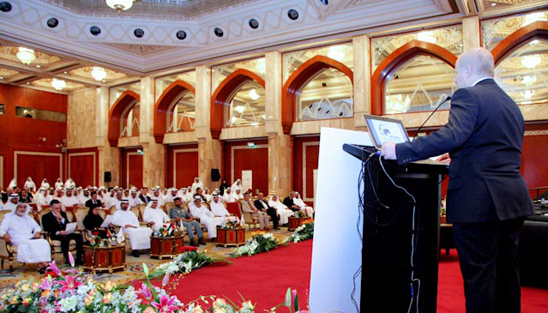 The First Plenary Session featured key guests of honor speeches. 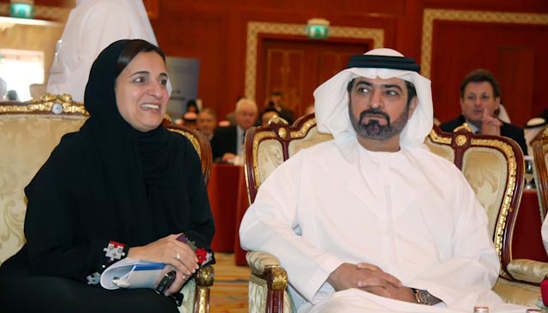 HE Sheikha Lubna Al Qasemi, Minister of Foreign Trade, UAE welcomed His Excellency Sheikh Hamdan bin Mubarak Al Nahyan, the conference guests and commended the Higher Committee for the Security of Civil Ports and Airports in the UAE and the Institute for Near East & Gulf Military Analysis – INEGMA for teaming up on this important event. H.E. 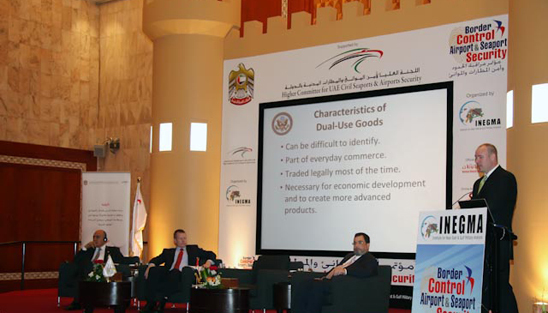 asserted in her speech about The role of seaports & airports in the promotion of foreign trade of the UAE” and said that foreign trade is one of the most important sectors of the UAE’s economy. H.E. stressed that this sector accounted for 69 per cent of the country’s GDP in 2010 and helped lift the country among the top 30 trading countries ranked by the World Trade Organization. H.E. added: “We have put a lot of efforts into making our ports modern, efficient, and innovative. I am proud to note that the UAE ranked 24th among 155 countries around the world in the World Bank’s 2010 Logistics Performance Index and 16th in the World Economic Forum’s Enabling Trade Index for the same year”. H.E. said that the Emirates continues to receive a lot of positive comments from its partners, foreign visitors and industry bodies regarding the efficiency of its customs procedures, the availability and quality of its transport infrastructures, and its physical security”. The Second Plenary Session, chaired by Dr. Theodore Karasik, INEGMA Director of Research and Consultancy, featured three speakers. 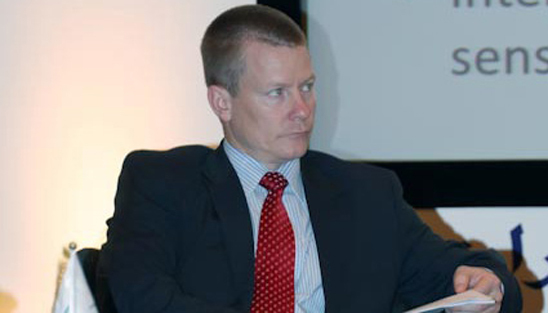 Mr. Tyler Hoffman, from the Office of Export Control Cooperation at the Bureau of International Security in the U.S. State Department, examined “Enhancing Export Laws and Regulations to Combat Smuggling of WMD Material.” Hoffman asserted that dual-use goods are commonly produced items that have both a commercial use, and the ability to be used in a weapons of mass destruction program, adding that the characteristics of dual-use goods can be difficult to identify and it is necessary for economic development to create more advanced products. He also stated that countries with new strategic trade control laws are the United Arab Emirates, Singapore, India, Malta, Cyprus, Croatia, Poland and Malaysia. Mr. David Nockels, General Manager, Analysis and Operational Support, from the Australian Office of Transport Security, presented a case study on his country entitled: “The Combined Public/Private Approach to Transport Security”. Nockels explained the industry key role in safeguarding transport security through a risk based, layered security regime focused on the mitigation of key security risk events noting the specific vulnerabilities identified at each location/operation. He added that the strategic factors driving Australia’s transport security policy settings include the key threats to the Australian transport sector, Australia’s national interests, Australia’s international obligations and the dynamic nature of the Australian transport sector. The final speaker of the second plenary session, Brigadier General Elia Al-Obeid, the Acting Head of Airport Security in Lebanon, had a lecture on the “Civil aviation threats and enforcement mechanisms of the security measures” in which he emphasized on the links between safety and facilitation through pace acceleration, effectiveness and facilitation and procedures unification. He added: “This implementation should result into close coordination between the two programs, maintain a logical balance and causing the least possible trouble and delay without compromising on safety”. 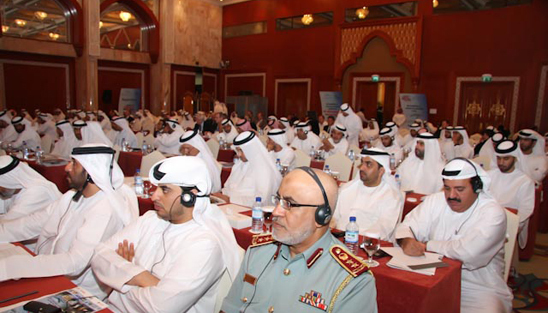 The third plenary session, chaired by Saeed Al Danhani from the Higher Committee for UAE Civil Seaports and Airports Security, featured four speakers. 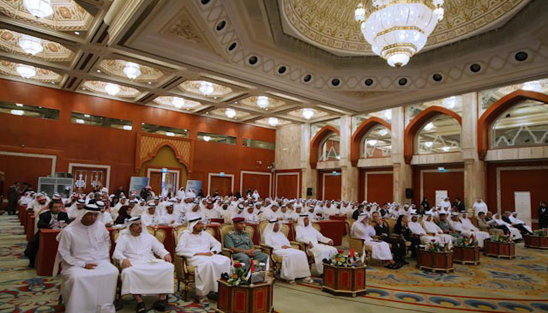 Dr. Ahmed Bin Thani Al Hamli delivered a speech on “Development of Legislation and Security Measures in the Maritime Transport Sector and the United Arab emirates experience in applying the International Ship & Ports Security Code”. 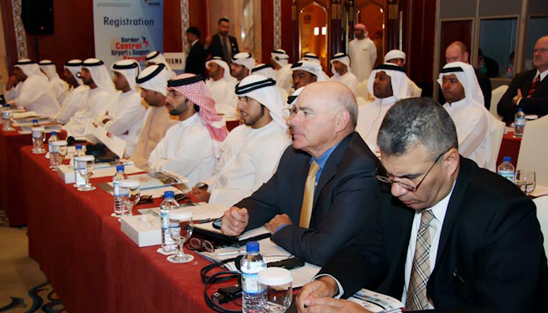 Dr. Al Hamli argued that the experience of the Emirates in this field is considered professional at a global level. And that this approach comes in result to the leadership and wise guidance of the State, which has attended to the safety and security of the country. According to Dr. Al Hamli, this is clearly evident through the 2021 vision of the UAE based on the impervious union that protects the people of the Emirates and ensure balanced development so that to promote the advancement of the UAE as a powerful and effective force”. Dr. Othman Al Khouri, Executive Vice President of Human Resources in ADAC, and General Manager of the UAE Gulf Centre for Aviation Studies, spoke on the “Integration between Training and National and International Legislation in the Performance Development of Human Resources Working in Airports.” Dr. Al Khouri asserted that despite the global economic crisis and the consequences of the world’s shrinking economies, the Middle East Region faces a major challenge in attracting and the retaining the professional workforce in various key industries including aviation and airports. 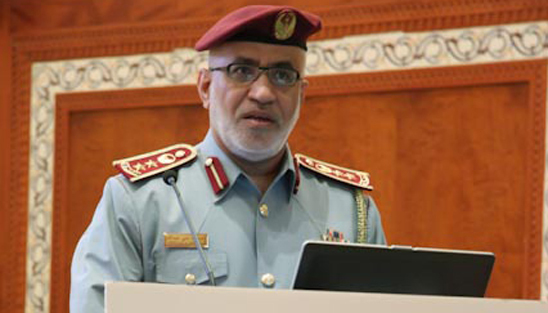 Finally, Colonel Abdullah Ali Al Hosni, General Manager of the Ports and Airport security from the UAE Ministry of Interior, lectured about “The Role of Security Strategy in Promoting Safety and Security of Ports, Airports and Border Crossings”. He started his speech by thanking the Higher Committee for UAE Civil Seaports and Airport Security on behalf of all the Ministry of Interior’s employees, leadership and staff for its unlimited support for all ports, land, sea and air. He added “We will achieve our vision by focusing all our efforts to protect the security, thus increasing the feeling of security to all who live on the UAE territory. We will develop the talents and capabilities of each staff and personnel of the Ministry of Interior so that to achieve our professional goals”.